Aftershock could finally see permanent changes. Lead gameplay designer Mark “Scruffy” Yetter outlined Riot Games’ plans for Patches 9.9 and 9.10 on the League of Legends forums today. In place of a mid-season patch, the game’s developer plans to implement heftier updates featuring more changes than usual after this year’s Mid-Season Invitational. In Patch 9.2, Riot reduced jungle’s power by lowering the amount of experience gained from each camp. 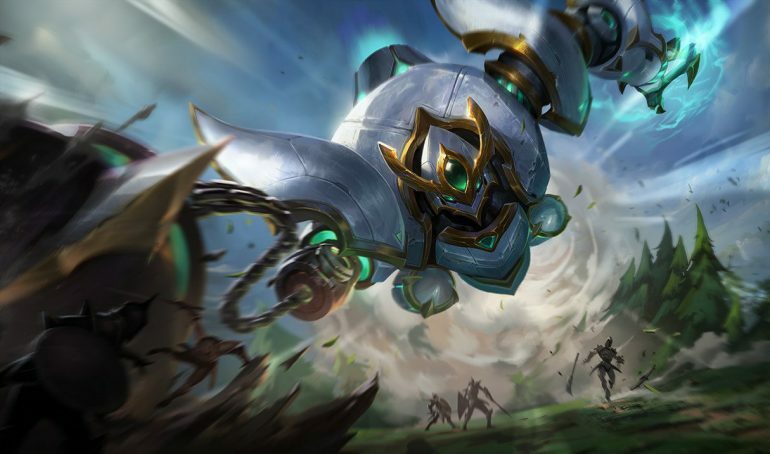 The League of Legends developer is looking to reduce some of the role’s early game dependence on lanes as a result by lowering the risk around level two scuttle crab skirmishes. “Philosophically we like for junglers to participate in the wider game and have to take risks to succeed, but we also want to solve a frustration point that early fights are too important and junglers feel overly reliant on laner rotations to succeed,” Riot Scruffy wrote. The Inspiration rune tree will likely see some of its options help mitigate its strength, while other runes from different trees will receive buffs, although which specific runes have yet to be revealed. Over the past few weeks, Riot has tested changes for Aftershock but has yet to settle on a permanent solution to address the rune’s strength. According to Riot Scruffy, however, the rune will see its power shifted away from champions steering away from tank builds while maintaining its benefits for tanks and bruisers by Patch 9.10. Lastly, four champions, including Blitzcrank, Tahm Kench, Zac, and Aatrox, are also on Riot’s blueprints for the upcoming patch cycles. Blitzcrank will have his passive shield and ultimate altered slightly, while Tahm Kench will likely see nerfs to negate some of his priority in higher elos. Earlier in the week, Riot fully detailed its plans for Aatrox in the upcoming Patch 9.9. The biggest change will likely come to his ultimate ability, World Ender, and will only revive Aatrox when he secures a takedown during the ability’s duration.